Financial Aid comes from several different sources. It's important to know who is providing you with financial assistance so that you can understand the requirements to receive the award, what the award is intended for and how it assists you with your costs. There are three main sources of financial aid: the federal government, the state government and Mount Carmel College of Nursing itself. Financial aid offered by the federal government is done so by the Department of Education. When Congress passed the Higher Education Act in the 1960's, it established certain types of financial aid to be offered to students (known as Title IV). The aid offered by the government comes in the form of grants and loans. The Department of Education provides MCCN with the funds for all eligible students and requires that the university distribute the aid based upon the criteria the Title IV law has established. 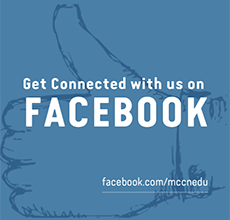 While the Department of Education oversees federal aid programs and makes determinations about eligibility, it is ultimately up to MCCN to ensure that the aid is awarded appropriately. MCCN must award Title IV funding in accordance with federal guidelines, which means there may be additional steps you must take or certain requirements you must meet in order to receive or remain eligible for federal aid. The amount of each federal award is set by law and is subject to change based upon the fiscal budget passed by Congress each year. For additional information on all federal programs, please see Federal Student Aid. The Ohio Board of Regents (OBR) oversees all state financial aid programs. The OBR oversees the state programs for eligible Ohio residents attending an accredited college or university in Ohio. OBR offers grants, loans and some scholarships and requires MCCN to ensure that this funding is appropriately given to eligible students. Like federal Title IV aid, MCCN must ensure that all students who receive Ohio financial aid awards are eligible recipients. The amount of all Ohio awards is set by the Ohio Legislature and is subject to change based upon the fiscal budget passed each year. For additional information on all Ohio aid programs, please see the Ohio Board of Regents. MCCN has institutional scholarships that are awarded to first-time traditional undergraduate students based on merit. These scholarships are renewable every year if eligibility requirements are maintained. MCCN has processes in place that automatically review students for award renewal based on renewal requirements. 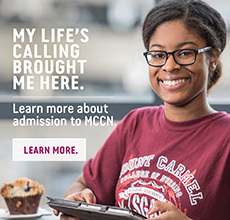 In addition to merit based scholarships MCCN has a generous endowed scholarship program. These scholarships are available to returning students through an application process in early spring. The following pages provide additional information on grants and scholarships. See Loans for further financial aid information.